Hybrids. Plug-ins. Electric vehicles. Even most traditional gas engines now sip gas rather than guzzle it. Yup, it’s easy to be green these days. Here are three faves. Sometimes what walks like a duck and quacks like a duck turns out to be, well, no ugly duckling. 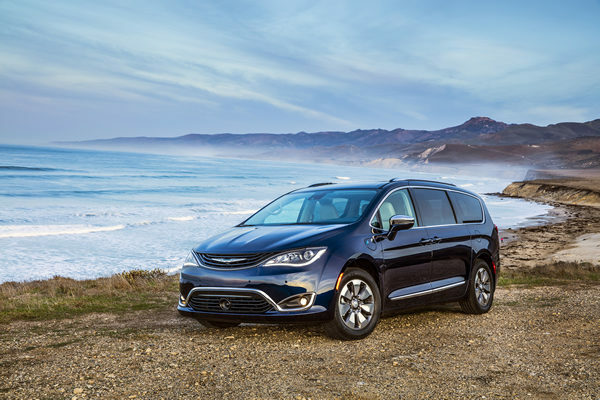 So it is with the Chrysler Pacifica, targeted directly at soccer moms and dads, but with eye-catching styling and deft handling. As a gearhead who is no minivan fan, I was bowled over with how well the Pacifica handled tight corners and twisty switchbacks. Step on the gas, and this hybrid bursts forward — such is the beauty of electric motors. And when the V6 gas engine kicks in, the acceleration is smooth and peppy. This is one hunky hauler that thinks it’s a dashing Dodge Charger, not a plus-sized ride. That sport-sedan motif continues in the second row, where there are bolstered captain’s chairs instead of a bench seat. Alas, this means less room for passengers. And because the battery pack is stored beneath the footwell, there are no foldaway second-row seats or convenient vacuum-cleaner system like in the traditional Pacifica. But the user-friendly cabin can be decked out with all the bells and whistles, including 20-speaker Harman Kardon stereo, dual 10-inch touchscreens for rear-seat infotainment and a tri-pane panoramic sunroof that stretches the length of a soccer field (or so it seems). Sure, this hybrid costs more than a traditional gas-model Pacifica, but EV tax credits bring the price down. Plus, you get bragging rights: No other automaker makes a hybrid plug-in minivan. Ford will stop producing sedans in the coming years, focusing instead on pickups and crossover SUVs. 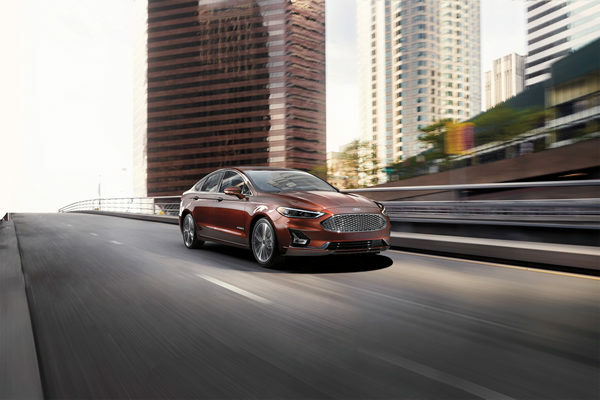 So why consider the automaker’s latest midsizer, the Fusion Energi plug-in hybrid? Three reasons: It’s a great plug-in hybrid, there are oodles of green vehicles in showrooms (so salespeople are willing to deal) and discontinued vehicles have a way of staging a comeback (Ford Ranger or Toyota Supra, anyone?). The Fusion is nicely styled, with a front end that mirrors a $250,000 Aston Martin Rapide super sedan. The Fusion’s interior may not be as upscale, but it’s more dapper than a Toyota Prius plug-in. Almost every safety and comfort feature is here, including pre-collision warning, pedestrian detection, automatic braking, 10-way heated/ventilated seats, heated steering wheel, smartphone integration and more. But for some reason, the power moonroof is an option instead of a standard feature. And the battery eats up half the trunk, leaving just 8 cubic feet for storage. Still, the satisfaction here is knowing you can trek 588 miles without having to fill up or recharge. For over three decades, Hyundai has been on the cutting edge, building trendy, reliable vehicles at affordable prices. Now the South Korean automaker has built the iconic Ionic, a dedicated green machine available in three configurations: hybrid, hybrid plug-in or electric. While the hybrid model boasts 58 mpg, the electric can travel up to 124 miles before recharging. And Hyundai plans to increase the battery pack soon, further improving driving range. All three models look similar, though only the electric has a glossy black grille and distinct taillights. Inside, large control knobs and high-resolution infotainment screen are a plus, but a low roof line and raised rear seats mean backseat passengers can feel squished. Still, there’s plenty of room in the front seats and a flat-bottomed steering wheel with paddles shifters helps you weave effortlessly through traffic. 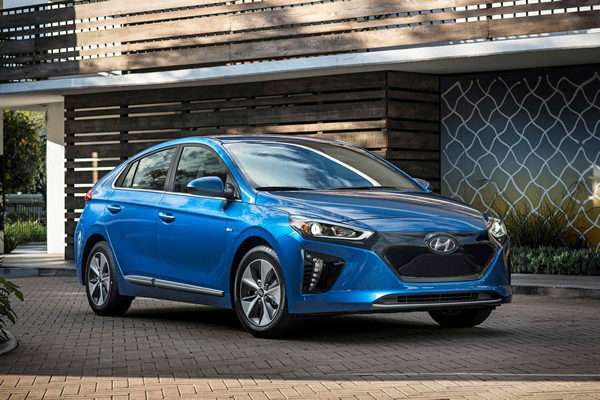 The Ioniq takes aim at the similarly priced Toyota Prius — no slouch in the eco wars — which comes as a hybrid or plug-in (there is no Prius EV). Both the Ioniq and Prius adopt the same (and to me, annoying) split rear-window setup that hinders driver visibility. While the Prius seems a bit quieter inside, the Ioniq offers a better warranty and lifetime battery coverage. Such competition should lead to even more green vehicles in the future.